Charlie and The Chocolate Factory remains one of our best-loved children’s books fifty years after its publication and this book is a glorious full colour treasure that every Charlie fan must own! 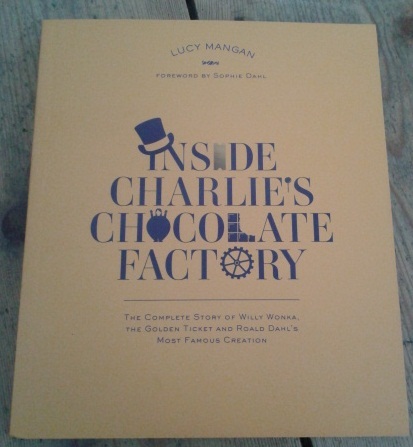 Lifelong Dahl fanatic, Lucy Mangan, explores the book’s influence on readers, films, theatre, music and of course on chocolate. I loved how she calls it “a whipple-scrumptious fudgemallow delight to do” as that is exactly what it was to read. Especially on a cold, wet January duvet day! The book opens with an exquisite foreword by Roald’s daughter Sophie Dahl. Her stories of her father feature fairies, bacon with marmalade, and the red tupperware box full of chocolate bars that would only be opened if she’d been good. Lovely memories. Writing Charlie was initially a difficult process for Dahl, working on it during a tragic time for his family. But through early drafts and manuscripts published here we can see the enthralling storyteller and maverick emerge. Charlie has since become so popular that it has inspired everything from episodes of The Simpsons to Marilyn Manson music videos to Heston Blumenthals’ wacky food creations! 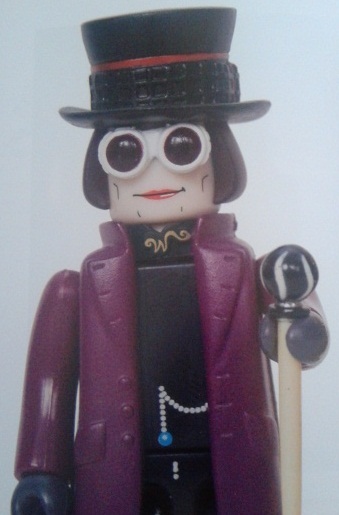 It’s characters and catchphrases have permeated popular culture with spin-off merchandise including figurines, lunchboxes and those all important Wonka bars. One of the best gifts The Southsea Bookworm received from Santa this Christmas was an anthology of drawings and verse from my favourite illustrator, Quentin Blake. 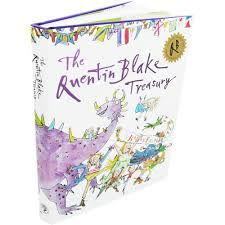 Undoubtedly best known for his artwork that accompanied Roald Dahl’s wonderful collection of children stories such as The BFG and Charlie and The Chocolate Factory, Blake fills every page he’s ever published with wit, wonder and joy. This beautifully presented volume of nine books showcases his other work from his very first picture book through to his most recent short stories, poems and songs. 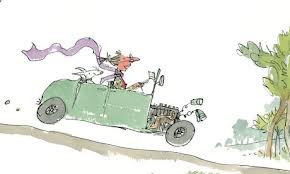 And I can tell you that the drawings and rhymes here are an endless delight. “All join in” and “Cockatoos” in particular made me yearn for childhood again. The witty rhymes are full of cheeky mischief and things like banana fizz and people with alligators in their pockets. His drawings as ever are stunning and hilarious – the kind of pictures you can look at for hours and suddenly see a bird hiding in the corner or a snake slithering up someone’s trouser leg. This Treasury is totally fun, very silly and enormously clever stuff.